"In as little as 10 years, products could be on the market that revolutionize urban travel for millions of people," said Zach Lovering, the leader of Airbus' project to develop an autonomous flying taxi called the Vahana. The name means the mount or vehicle of a Hindu deity. Uber released a 98-page report in October making the business case for air taxis, which the company sees as the future of on-demand transportation. 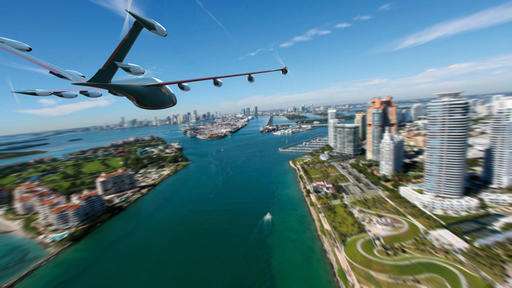 Uber doesn't have any plans to develop a flying car itself, but the online transportation network is advising several companies that have aircraft in the works. "The role we want to play is as a catalyst for the entire industry," said Nikhil Goel, an Uber project manager for advanced programs. It's unclear yet how much the aircraft will cost, although prices are likely to vary significantly. Some of the aircraft are designed to be individually owned, while others are envisioned more for commercial use. Designers hope that if demand is high, prices can be kept affordable through economies of mass production. Another aircraft under development, Santa Cruz, California-based Joby Aviation's S2, looks more like a conventional plane except that there are 12 tiltrotors spread along the wings and tail. And some, like the Vahana, a cockpit mounted on a sled and flanked by propellers in front and back, don't really look like any aircraft in the skies today. "In terms of what you can make fly in a reliable manner, the solution speed gateway that (computer) chips have gone through recently have literally opened the door to a whole new world of flying machine possibilities," said Charles Eastlake, an Embry-Riddle Aeronautical University professor emeritus of aerospace engineering. Key for many of the designs will be the development of longer-lasting lightweight batteries. Currently available batteries could probably keep an air taxi aloft about 15 to 30 minutes before it would have to land, experts said. Depending on how fast the aircraft flies, that probably isn't quite enough to transport passengers between nearby cities or across metropolitan areas, experts said. The FAA said in a statement that it is taking a "flexible, open-minded, and risk-based approach" to flying cars. FAA officials have discussed with several manufacturers the certification of aircraft that will be flown with a pilot in the beginning, and later converted to an autonomous passenger aircraft. While further research is needed to ensure that autonomous aircraft are safe, "we believe automation technology already being prototyped in low-risk unmanned aircraft missions, when fully mature, could have a positive effect" on aviation safety," the agency said. "It's pretty clear that the existing air traffic control system won't scale to the kind of density at low altitudes that people are talking about," said John Hansman, a Massachusetts Institute of Technology professor who chairs the FAA's research and engineering advisory committee. European aircraft manufacturer Airbus is working at its Silicon Valley research center on a driverless flying taxi that at first will have a pilot, but will later be autonomous. The vertical takeoff-landing, all-electric aircraft is a cockpit mounted on a sled and flanked by propellers in front and back. Airbus plans to test a prototype before the end of 2017, and to have the first Vahanas ready for production by 2020. German technology company Lilium Aviation is working on a two-seater aircraft that will take off vertically using 36 electric fan engines arrayed along its wings. The aircraft will hover and climb until the fans are turned backward slowly. After that, it flies forward like a plane using electric jet engines. The company has been flight-testing small scale models. The aircraft will have an estimated cruising speed of up to 190 mph and a range of 190 miles. The Slovakian company AeroMobil has developed a car with wings that unfold for flight. It uses regular gasoline and fits into standard parking spaces. 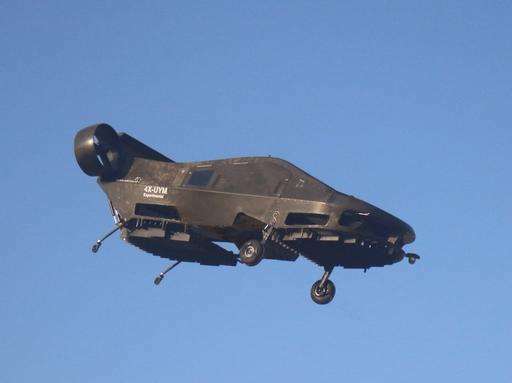 It can also take off from airports or "any grass strip or paved surface just a few hundred meters long," according to the company's website. Driver and pilot licenses will be required. 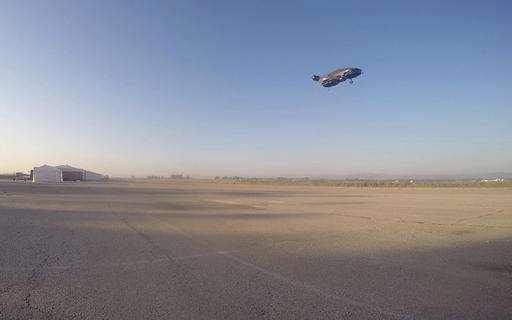 Chinese drone maker EHang has been flight-testing a person-carrying drone in Nevada. 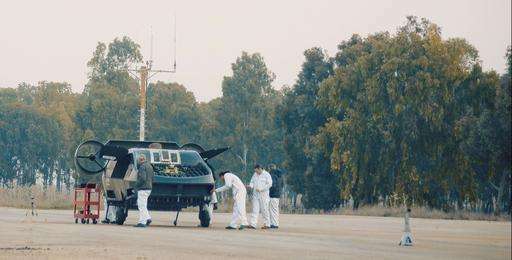 The vehicle is a cockpit with four arms equipped with rotors. Takeoff and landing targets are pre-programmed. A command station in China will be able to monitor and control the aircraft anywhere in the world, company officials say. Joby Aviation of Santa Cruz, California is developing a two-seat, all-electric plane with 12 tilt rotors arrayed along its wings and tail. 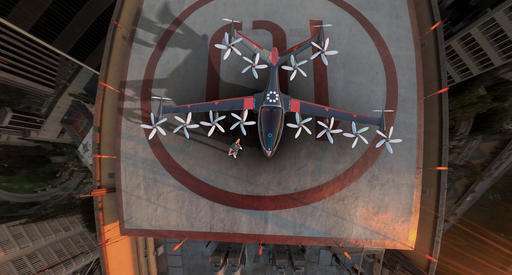 The aircraft takes off and lands vertically and can achieve speeds up to 200 mph, according to the company's website. Terrafugia, based in Woburn, Massachusetts, began working a decade ago on a car folding wings that can fly or be driven on roads that's called the Transition. The company says it plans to begin production of the Transition in 2019. Terrafugia is also working on a "flying car" called the TF-X—a car with folding arms and rotors for vertical takeoff and landing. This two-seater, electric multicopter from German company e-volo has 18-rotors and looks like a cross between a helicopter and a drone. It is controlled from the ground, eliminating the need for a pilot license. This Mountain View, California, aircraft developer bankrolled by Google co-founder Larry Page says on its webpage that it is working on a "revolutionary new form of transportation" at the "intersection of aerodynamics, advanced manufacturing and electric propulsion." Company officials declined to provide details about Zee's projects. I would only go with one based on the gyrocopter like the Pal-V.
Who wants to live under a flyway? The power source is going to dictate the design. The more aggressive the rotors and the less restrictive of weight and structure. We lucked out with internal combustion. We need a similar leap in magnitude if we can expect machines like robots and flying personal transportation. I have a great idea for a flying car. It would make trillions. Contact me underneath if you are interested. Let's presume that the technological and air traffic issues are resolved (somehow). There is still one 800 pound gorilla of a problem sitting in the room: Weather. In flight ice accretion is no joke. Embedded thunderstorms are a reality. Wind shear is nothing to be trifled with. These things catch unwary licensed pilots with rude regularity. At best, these are fair weather vehicles. The notion of George Jetson getting in to his air car and flitting to his destination in anything less than perfect weather is a dream that isn't likely to come true any time in the near future. I'd like to give honorable mention to the EHang 184, though.. battery improvements in the near future will rocket this one into first place. I want one now.